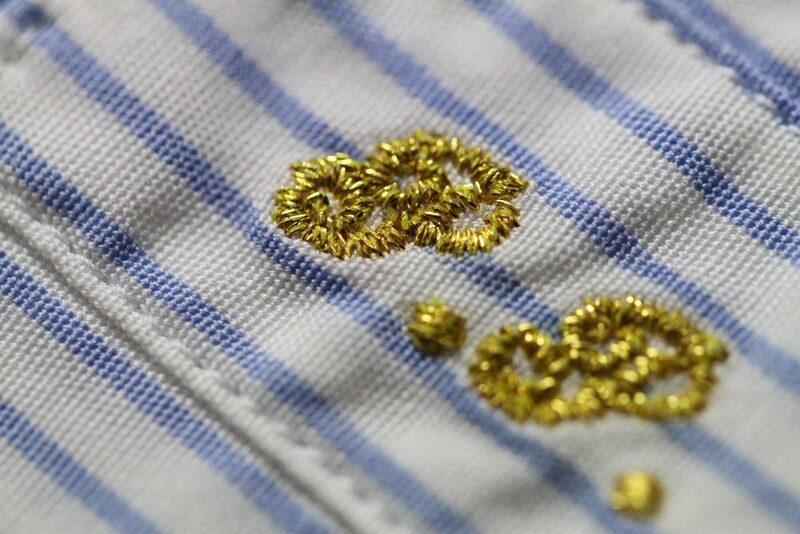 This page looks at our shirt tailoring process to give you an idea of the heart and soul that goes into every Herman Bros & Co. shirt commission. 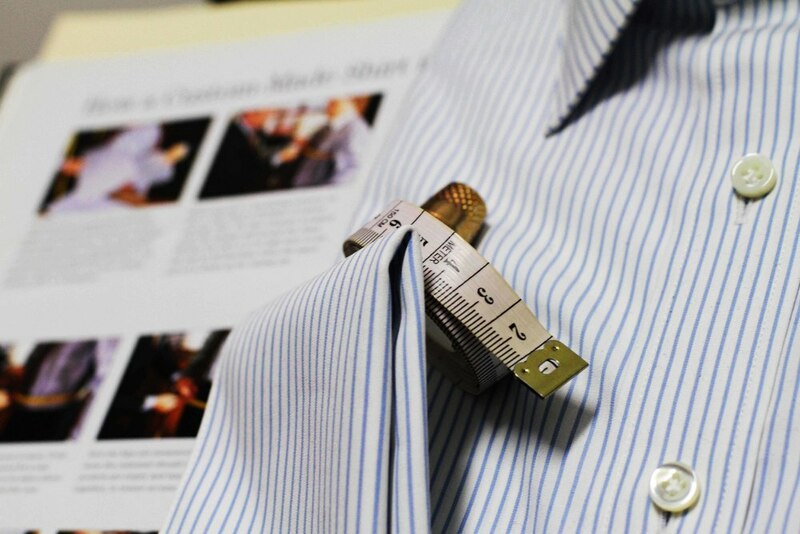 The first part of our shirting process is getting the brief right which is what we do at the Customer Consultation. We want to know what you like in your shirts, what type of feel you like for your fabrics and whether you prefer a stiffer or softer collar & cuffs. We want to know what is the shirt for, is it meant to be your "interview" shirt that needs to project you with some proudness and conservativeness, or something more casual for the weekend as your sipping a brewski on a sunny afternoon. Once we've got a solid brief, we go through the Garment Drafting stage You will go through our extensive fabric range and pick out your fabric of choice. We will go through all the styling elements of your shirts such as collar types ranging from traditional point collars to somewhat bolder cutaway collars. We will discuss your fit, rather you prefer a slimmer cut or a relaxed fit. These are all things which of course we can assist with, it is certainly your show but we can act as a trusted advisor. Your measurements are of course also taken accounting for the slope and shape of your shoulder and body. We consider which side you wear your watch and offer to increase the wrist size of that sleeve so you can comfortably wear your shirt for years to come. This first consultation will take approximately 45min for shirts. Here the full amount of your payment will be required so we may begin your commission. Your measurements and "model pattern" are then delivered to our tailors who begin the Garment Production Process. Your creation will be based on all the details that we have noted down in your initial consultation. Give us some time here and let our busy artisans ensemble your shirt creation, as they touch the luxurious fabric you've chosen as they hand attach the buttons and hand stitch the bottom gussets. Your shirts will be expertly finished and neatly packaged in our shirt gift box, ready for your inspection. Learn more about our tailored shirts in Sydney. For shirts this is around a 8 week process - start getting your social calendar ready for you to wear your new shirts... not long to go! Once your shirts are ready we will call you back for your first fitting. Here you will judge for yourself the fit and feel of your master creation. We will critique the fit of the shirt and if we can see if any adjustments need to be made. We obviously try to get it right the first time, but tailoring is a process and we want to make sure we get your "model pattern" spot on, same as with suits. Similar to tailored suits if there are any adjustments required, I will dutifully make them by skilled tailors locally. This will normally take another 2 weeks after which I will call you back for if necessary. I will sadly bid your farewell - hopefully your already starting to think about your next creation! IT IS IMPORTANT THE NOTE THAT THE ABOVE PROCESS IS ONLY REQUIRED FOR YOUR FIRST FITTING. ONCE YOUR "MODEL PATTERN" HAS BEEN ESTABLISHED, YOU CAN SIMPLY BROWSE OUR FABRIC RANGE TO PICK YOUR GARMENTS, AND THEY WILL BE PERFECTLY TAILORED NEXT TIME, EVERY TIME. What am I using the shirt for? Is it a work or more casual suit, or both? How do I like the feel of my cuffs and collars, firmer or softer? What kind of fabric am I after in terms of colour and patterns? What kind of collar shape am I after (if you know). Am I after a formal cuff or just a button shirt? What kind of fit would I be looking for?